Dates: 22nd, 23rd September & 13th, 14th October 2017. The workshop will allow participants to explore five different warps, set up on five separate looms, giving the opportunity to practice a variety structures of weave and learn some of the unique properties of different fibres. Upon arrival the looms will be ready and all set up for weaving, allowing for 6 hours learning about weaving and exchange ideas with the workshop group. No extra equipment is needed for this workshop as everything is provided and included in the workshop price. Participants can also bring some of their own yarns to experiment with. 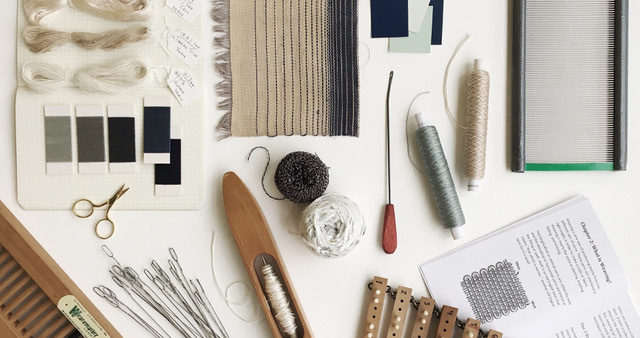 Participants will be able to take away a minimum of five different woven samples, all mounted on a technical sheet for their textile library. All levels are welcome from beginner to experienced weaver. Due to limited availability all bookings are to be made in advance. 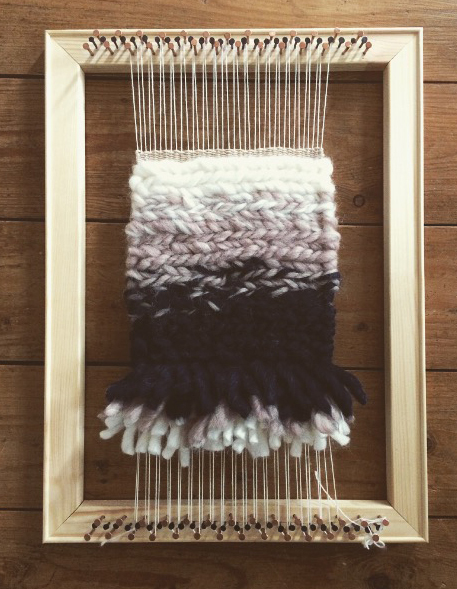 This workshop will show you how to design and hand make a wall hanging on a frame loom. There is a growing trend for wall hangings and this class will guide you through all the basics to make your own. The workshop will be led by Georgia Fisher, a London-based weave designer, who will be covering everything from making the warp, through to weaving techniques, and how to plan your design, all the way to finally taking it off the loom and and attaching it to its hanging structure, ready to take home and display. A selection of luxurious yarns will be provided, along with the materials needed for the hanging structure and each student will have their own frame loom to use for the afternoon. No need to bring anything with you, unless there is a special yarn you would like to include in your hanging. Georgia Fisher studied at the Royal College of Art and now works as a freelance fabric designer for fashion houses around the world. She is now also building her own brand of luxury woven products. This entry was posted on Wednesday, September 6th, 2017 at 7:32 am	and is filed under General, Workshops. You can follow any comments to this entry through the RSS 2.0 feed. You can leave a comment, or trackback.